Webinars for Corporate & Business Law practitioners. Created for lawyers, paralegals, notaries and any other corporate law professionals, these webinars address some of the most common, repetitive tasks that you undertake at your workplace. 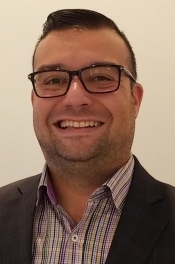 Nelson has over 17 years of experience working with and supporting legal professionals across Canada, and is a key member of the Dye & Durham Learning & Training team. He leverages his vast knowledge of legal workflow best practices to help our clients understand how to maximize efficiency and productivity using our products. TO OUR LUCKY DRAW WINNERS!